Economically priced for maximum reach into the world. 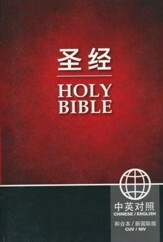 Our selection of Paperback Bibles is outstanding. One of our largest categories, this cover style spans our entire catalogue of publications to include everything from Children's Bibles to Prison Outreach. It contains almost any type of theme that you could imagine. These specially printed editions are priced low to begin with but when you consider the savings when you purchase them in bulk, they are even more attractive. Priced for sharing, these ruggedPaperback Bibles will bring its owner years of comfort and hope. This NVI edition (Spanish translation) is priced for evangelism, outreach, and giving. It is a complete resource and is ideal for study groups, individuals, and more. Ideal for outreach, study groups, and evangelism, these NVI editions are affordable paperbacks that are beautifully designed for sharing. In singles or case quantites. An economical approach to evangelism and outreach, these NVI editions are small and lightweight paperbacks made for sharing. Available in individually copies or by the case.